Here at The Bed Factory we pride ourselves in using only the highest quality materials available in the industry, when manufacturing our mattresses and divans, our memory foam mattresses are no exception to this. 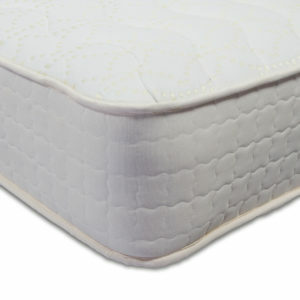 We use 2-inch thick British manufactured visco-elastic memory foam, which conforms to the shape of your body – giving you the desirable combination of exceptional support and complete comfort. Our superb quality of memory foam is combined with our British sprint units to ensure you receive a durable and comfortable night’s sleep, excellent for those who suffer with back aches and pains. Three different types with British Pocket Spring Units. In addition to the traditional memory foam mattresses we also hold new innovative Infinti Foam, which does not retain heat providing you with a cooler night’s sleep. Our new Infiniti range is ideal for those who suffer with particular allergies as the foam is treated with ultra-fresh to destroy any bacteria and prevent its growth. Our Infiniti mattresses are available with either a 1500 pocket spring unit or a 2000 pocket spring unit. To view our range of memory foam mattresses please select your size below. However, we do recommend that you come and visit us at our Bed Factory showroom in Ipswich to try our mattresses out for yourself, ensuring you purchase the right mattress for you.